I’ve wanted to make some rings, modular rings. I though that it should be fun and the result pretty. No surprise after I’ve made them: fun and easy to do and pretty and cute to look at. After seeing these a friend of mine asked me if I could teach her origami because it’s cute. I have to make a selection of simple models for that matter. And find some time, of course. 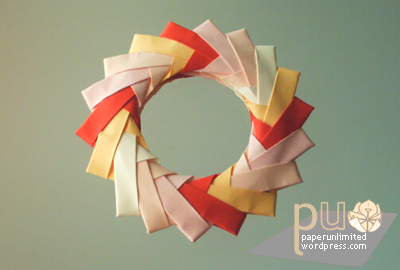 These were made with the simple and easy to find coloured copy paper; both rings were made with small paper. I can’t remember if it was with 5×5 cm or 7×7 cm but it was one of these. The rings are small; the 18 units is a little bigger than the 10 units one but even though they are small. For bigger rings, bigger paper! You can actually find lots of pretty papers out there that are just crying to be transformed in something. Why not a couple of rings? 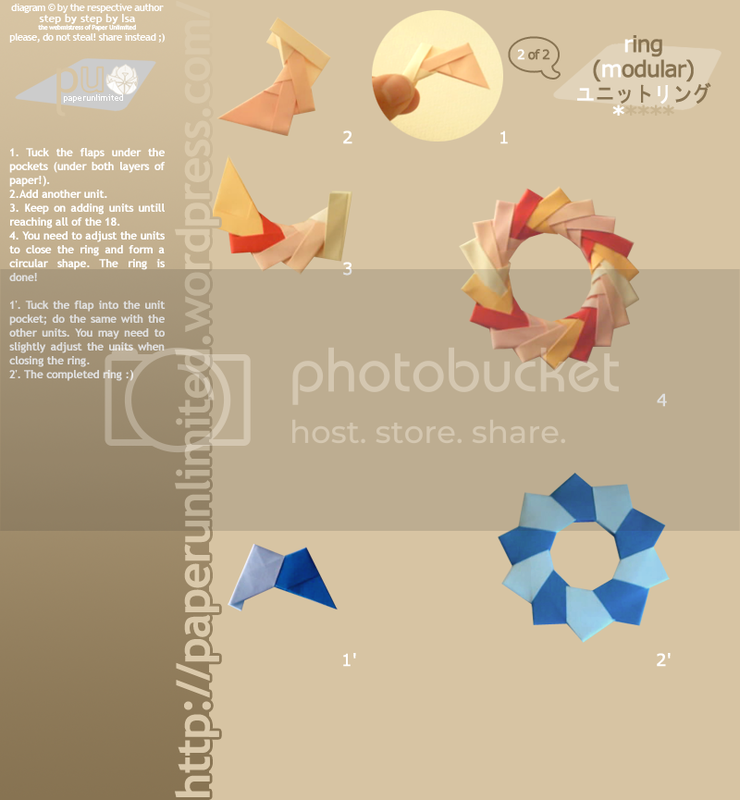 This entry was posted on 2007|04|16 at 10:26 and is filed under diagrams, modular origami. You can follow any responses to this entry through the RSS 2.0 feed. You can leave a response, or trackback from your own site. Thanks, I have been looking for this exact origami fold for some time, but I did not know what to call it. I will give it a go. 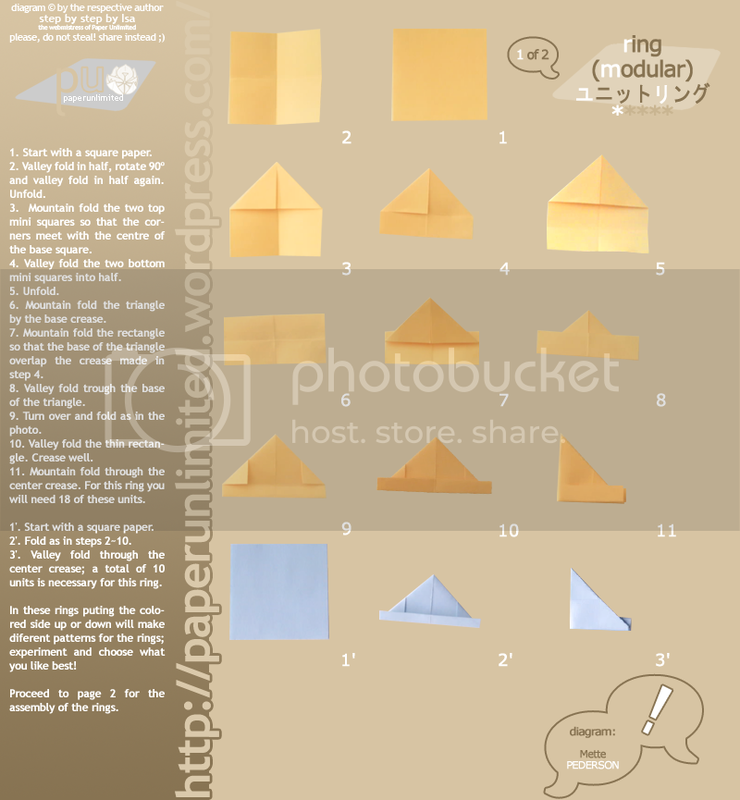 I love origami and will keep my eye on your blog. I’m looking to start an origami group in Brisbane. Interested? Hi! Would someone help me to fold 5-petal flower? I love these origami rings! I’ve already been hooked on them. I’ve made three rings already. I’ve been making the rings with ten pieces only, but I’m going to try the eighteen unit ring as a challenge. It’s a bit difficult to make the eighteen unit ring with one-sixteenth of a piece of six-inched paper! They are really small, and they only work well with the 10 unit ring! Good luck with your next origami project! Please, please, please make a book with your so beautiful images ! hey i saw them very late but i have a project with origami or krigami and i have to make basic shape origami or krigami. 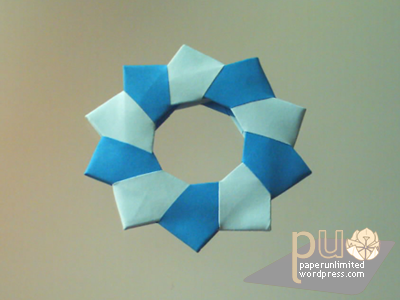 i have not long time so can i learn from you how to make this origami?